Spencer Hunn is a legend in the ACN business and he is an extremely successful network marketer. He’s a young guy, very talented, and very driven. Although I’ve never met him personally (nor have I been in ACN myself), I am completely mesmerized by the knowledge and wisdom this guy has about network marketing. I watched one of his YouTube videos the other day and took several pages of notes. What I want to do in the rest of this post is share a few of the Golden Nuggets he shared in the video, and also provide my own two cents on each quote. Each quote or lesson is in bold. # 1 Always work with the newest IBOs at the bottom most point in the organization. The key to long-term success in the business is working in depth. When you work at the bottom most level of a leg, you light a fire in the basement and automatically excite everyone above them. Working in depth also anchors in the people above them (fear of loss). 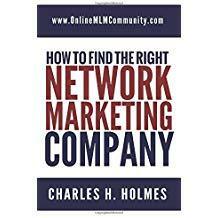 # 2 You only need four Captains, four best friends to make it big in network marketing. To make a lot of money in network marketing, you only need a few serious people. Four good people can make you a fortune. If you are doing the business right, you will build a good relationship with these leaders and become best friends in the process. # 3 Always think long term. Most network marketers are extremely short sighted; looking for a quick dollar. Whenever you make a decision about your business, always ask yourself how it will affect you in the long-term. Make sure ALL of your decisions are focused on the long-term. For instance, it’s smart to work beyond your pay level. It’s smart to help someone who is at a higher rank than you (in your downline). Don’t be shortsighted and just focus on the quick dollar. # 4 Mine for leaders. Your best leaders will typically come in depth. In his video he talks about how some of his best leaders are 20 to 50 levels deep (or deeper) in his organization. Most of the people I know in the industry who are extremely successful found their best leaders in depth. The odds of you personally sponsoring your best people are actually quite slim. # 5 Any fool can complicate something but it takes a genius to keep it simple. You need to keep the business so simple that even an eight year old could do it. Don’t complicate anything. Don’t reinvent the wheel. Keep things caveman simple! # 6 Your goal is to be so busy working in depth that you don’t have time to personally recruit. Once you’ve personally recruited 10-20 people, or found 3-5 serious people who want to build a business, you should shift your efforts and spend most of your time working in depth. This anchors people in and helps you grow your team. This is not a recruiting business. It’s a team building business. It’s much smarter to build it deep than build it wide. # 7 Every month there is green there is life. Whenever you have new blood in a leg it automatically excites everyone in the group above them. New blood is the lifeblood of your business. Keep finding new people in depth and you don’t have to worry about the people above them staying motivated (or quitting). # 8 The X factor is personal growth. One of the most important keys to success in network marketing is your personal growth. This is definitely the best personal development industry I know of. For things to get better you have to get better (thanks Jim Rohn). You need to work on your people skills, your attitude, your confidence, your posture, and your knowledge. This takes time. Strive to get a little bit better every single day! Focus on incremental growth. # 9 You need two things to build the business: coachability and work ethic. To succeed in network marketing you must be willing to humble yourself enough to listen to your successful mentor and follow their lead. In addition, you must be willing to outwork everyone else. You have to roll up your sleeves and do the work that most people are not willing to do. # 10 If you’re not having fun you’re doing it wrong. This business should be fun! Most people already have a full time job in their life and they don’t need another full time job or boss. You need to have fun. Celebrate your success. Laugh. Don’t take yourself too seriously. Have events and parties for your team. Recognize people when they do a good job. Bonus: People are either leaders or doorways. People are either leaders themselves or they will lead you to someone is. Even if your newest rep is lazy and isn’t willing to do anything, there is a good chance that they know a leader! Your goal is to get your new people (all of them) to lead you to leaders. The bottom line is that Spencer Hunn is an amazing network marketing success story. He’s a young, energetic guy with tons of wisdom and experience. If you were ever thinking about joining ACN yourself, he is the type of sponsor you would want to have. On a side note, I’d love to hear from you. Which quote listed above resonates with you the most? Leave a comment below to share your thoughts. I look forward to hearing from you. Disclaimer: I am not, nor have I ever been affiliated with ACN. ACN is a registered trademark. Individual results will vary. Many years ago when I was in telemarketing, we used a simple approach that kept many of us in line. It is called KISS. Keep it simple & stupid. Spencer Hunn goes into this with the genius is able to keep things simple. Our human nature is to over complicate things. We know the easy way, but when we try to explain it to someone else, we make it difficult. I recommend just writing down the steps how you do it in the easiest way. That way you are not trying to explain off the top of your head. Put yourself in a person’s shoes that has no understanding. Make it simple. I am reminded of how some people will give directions: Go down to the corner that has the house with the red elephant in the yard; turn East and go to the 4th gas station and turn North. The building you are looking for is on the East between the 2 brick buildings. It would be more simple to say go 5 blocks and turn right. Go 9 blocks and turn left. Your destination is on the right in the 2nd block. Great advice. Keeping things simple is the best way to go. First of all, I want to commend you for taking notes while watching these videos! Note taking is not something I have ever mastered. I think the tip that stood out to me the most, personally, was “If you’re not having fun, you’re doing it wrong”. Yes, yes, yes. I think that’s why a lot of people give up before they really get started, because they’re not having fun. Spencer Hunn has a lot of wisdom at a young age. I especially like the 4 captains part. One thing that can happen with MLMs and other businesses is too many people trying to teach “their way” of doing things. Spencer also hit on the keep it simple part. When you have multiple people trying to teach different ways of attaining the same goal it causes confusion. The same way needs to be used with all. Yeah. Spencer definitely has his act together. Great article! This paints a true and clear picture of what it takes to succeed. It also makes it obvious why you need a depth-friendly and not overly difficult comp plan! Yes, you definitely need a depth friendly plan. That is where the big money comes from.